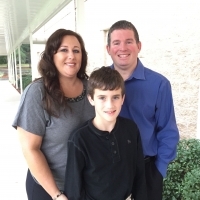 Carrie Pafford is the Director of our Preschool Ministry at Morningside. She is married to Jamie and they have one son named Peyton. She has served for several years in all areas of Children’s Ministry and became Preschool Director in 2015. As Preschool Director it is a joy to partner with parents and laying a Biblical foundation that results with a personal relationship with Jesus.